Lance Bass – Tap Trailer Co. Beyond his fame as a member of the phenomenally successful group *NSYNC, where the group sold an impressive 60 million plus records worldwide, Bass has made himself a household name throughout the globe. With countless career highlights in music spanning the past 20 years, including multiple Grammy® nominations, two diamond RIAA awards, MTV Video Music Awards®, American Music Awards® and People’s Choice Awards® to name a just a few, he has expanded his accomplishments into multiple entertainment mediums. Most recently, Lance was a co-host on The Meredith Viera Show, which ran from 2014 through 2016. In 2007, Bass lit up Broadway, starring as “Corny Collins” in the smash hit, “Hairspray”, published his revealing memoir, “Out of Sync”, and danced his way to the finals on season seven of ABC’s hit competition show, Dancing with the Stars (2005). In 2003, he was inducted into the Mississippi Musician’s Hall of Fame, making him the youngest person to ever receive this honor. 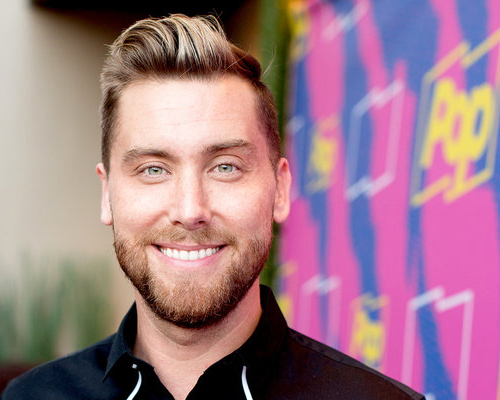 In 2012, he joined Sirius XM and launched a pop culture daily radio show, called “Dirty Pop”, with Lance Bass and, during the weekends, hosts their “Pop2k Countdown”, where he can still be heard today. Building on his passion for film and documentaries, Bass has established himself as an acclaimed producer with titles like Kidnapped for Christ, where he was awarded the Audience Award for Documentary Feature during it’s Slamdance premiere this past January and Mississippi I Am, which recently won Best Documentary at the Manhattan International Film Festival. This November, he is being recognized for his outstanding achievements at the Mississippi Film Festival with an encore screening of Mississippi I Am. Other producing credits include the Miramax film, On the Line (2001), where he not only served as Executive Producer but was also the film’s star and earned him the coveted Movieguide® Award for excellence in family-oriented programming. In 2005, he executive-produced Randal Kleiser‘s romantic comedy, Lovewrecked (2005), starring Amanda Bynes, Chris Carmack and Jamie-Lynn Sigler. He is also the recipient of the Golden Apple Award® as Male Film Discovery of 2001. While known for his success in music, including a #1 European dance single, in 2014, called “Walking On Air” and featuring newcomer Bella Blue, Bass has made numerous memorable guest appearances in film, television and as the animated voice in several popular children’s cartoons. With his sights focused on hosting, Bass is preparing for his fifth consecutive year as co-host of the American Music Awards’ Coca-Cola Red Carpet, has guest-anchored the KTLA Morning News in Los Angeles, filled in for Harvey Levin on TMZ and has become a frequent correspondent with the landmark entertainment show, Entertainment Tonight. As an entrepreneur, he founded Famous Yard Sale, which was inspired by his memories of weekend yard sales in his hometown of Laurel, Mississippi, where he reinvented the yard sale as a virtual auction marketplace for celebrities to donate their excess belongings and raise money for their favorite charities. This led him to create and executive produce the Lifetime series Celebrity Home Raiders. Currently, he has partnered up with Slavco and Daniel Tuskaloski, and TeliApp to create Sparxx, a social relationship and dating app specifically designed for the LGBT community with the goal of breaking the mold of conventional LGBT dating apps. Sparxx was designed to help men and women and their personally defined sexuality, find meaningful and long lasting relationships. Philanthropically, Lance remains active in various charitable organizations including serving on the Young Hollywood Board of the Environmental Media Association. He is also a national spokesperson for The Trevor Project, a non-profit organization founded in 1998 focused on suicide prevention efforts among lesbian, gay, bisexual, transgender, and questioning youth. Additionally, Lance is a strong advocate for animals and has been a spokesperson and ambassador for animal rescues all over the country, including directly working with Vanderpump, a dog rescue based in Los Angeles, CA. Bass currently resides in Los Angeles with his husband Michael Turchin, whom he married in 2014 and was featured as a wedding special on E! in early 2015.